Providing Accurate Appraisals Through Years of Auction Experience! 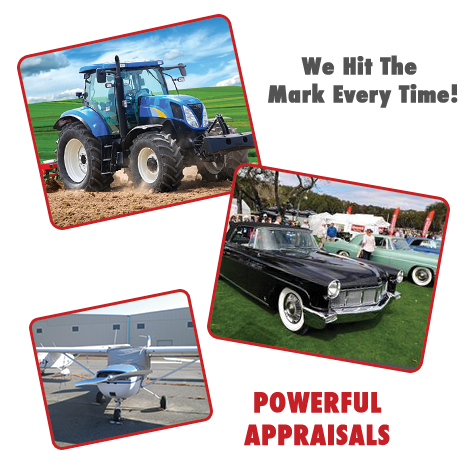 Bullseye Auction & Appraisal Services is experienced in selling all types of assets. Our past projects include heavy equipment, industrial machines, restaurant equipment, technology and most other personal property. This familiarity provides us a unique perspective with regards to determining values for your assets. We are experts in providing accurate values for your property. We work closely with the Special Assets, REO and OREO departments of many banks. We are knowledgeable and well versed in SBA and FDIC guidelines. We also offer our services to the legal community for purposes of expert testimony, forensic valuations and other legal concerns. At all times, we subscribe to the principles of the USPAP, Uniform Standards of Professional Appraisal Practice. Contact Bullseye today to discuss your expert valuation needs.